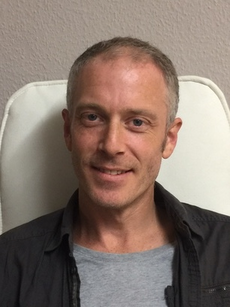 My name is Grant Morris and I am a UKCP registered psychotherapist in training with the Bath Centre for Psychotherapy and Counselling (BCPC) . I am committed to providing a safe, confidential and non-judgemental environment in which to explore difficult or complex thoughts and feelings, and to bear witness to how it is and what it means to be you in the context of your life. Nobody knows you better than you know yourself, and I believe that nobody knows what is best for you more than yourself. I will work together with you to discover new ways of being which enable you to enhance your life, and to experience and live it more fully. The above list is not exhaustive and I work with a wide range of issues, with both men and women. A psychotherapist can help you to face and to gain deeper insight into some of the more difficult aspects of your life that you may be facing or feel you need to confront in order to move forward. Fear, trauma and major emotional obstacles often leave us feeling stuck, frozen, unable to move forward. Our fears and our trauma are more traumatic when we have to face them alone. A psychotherapist can face these challenges with you, assisting and equipping you to face and overcome, or to understand and embrace, them with courage, clarity, acceptance and insight. I practice in central Bath and in Wiltshire, and work with individuals on an open-ended basis. Sessions are held on a weekly basis. I currently offer low cost counselling in Bath and Westbury, and this is available to all. 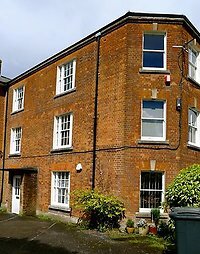 I practice psychotherapy and low cost counselling at Trim Bridge in Central Bath, within easy reach of Bradford-on-Avon, Bristol, Frome, Radstock and Chippenham. I also practice at East Wing Practice in Westbury (Wiltshire), within easy reach of Warminster, Bradford-on-Avon, Trowbridge and Frome. As a UKCP trainee psychotherapist I currently offer low cost psychotherapy and low cost counselling in Bath and Westbury. This is for a limited period, and is reflective of, and in line with, my trainee status. I currently charge £25 for a 50 minute session. This low cost offer is for a limited period and is currently available to all.